A Burglar who has been targeting Entertainment Studios and offices in Los Angeles has been caught on camera. The LAPD is asking anyone with information on the suspect to come forward with any information that may help to stop the burglaries and close the case. 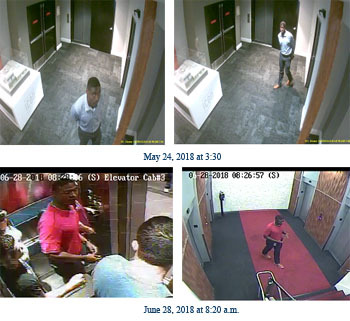 The suspect dresses in business attire (navy blue dress pants, brown dress shoes, worn in each burglary) and walks into the business via the open parking garage. Once inside, the suspect blends in by displaying possible fake identification badges and searches for unlocked office doors. The suspect targets laptops and electronics, he finds a laptop bag in the office to conceal the stolen electronics and exits the location. The suspect appears to be targeting Entertainment Offices/ Studios. Does Drake still have a thing for Serena Williams?